Much of the press for medical 3D bioprinting has revolved around recreating parts of the human body for medical transplants, implants, and reconstructive surgery. We often find these stories easy to relate to, with visuals that help us understand the benefits of each bioprinting solution. However, another important aspect of bioprinting that may not be as obvious is its potential contribution to early-stage disease research. This type of research occurs in the laboratory, and focuses on how our cells (the tiny building blocks that make up every part of our body) function and interact during diseases. 3D bioprinting could present a step forward in how researchers construct experiments that help them understand disease. One of the crucial steps to understanding each type of cancer is figuring out how it communicates with other cells, and what it is saying. 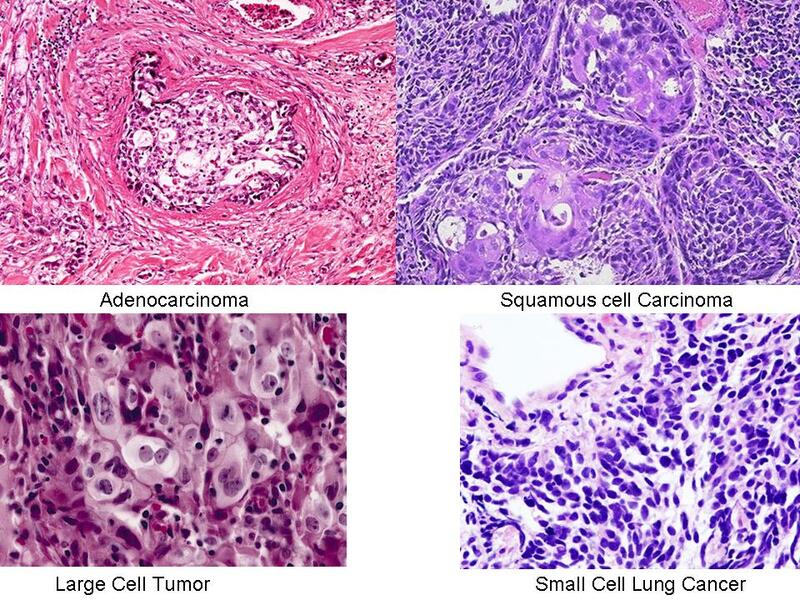 Cells in a tumor may talk to cells from within the same tumor, or surrounding healthy cells, and all of this communication could be important for cancerous cells to grow and spread. Thus understanding how cells interact is an important step towards blocking this communication using medical treatments. 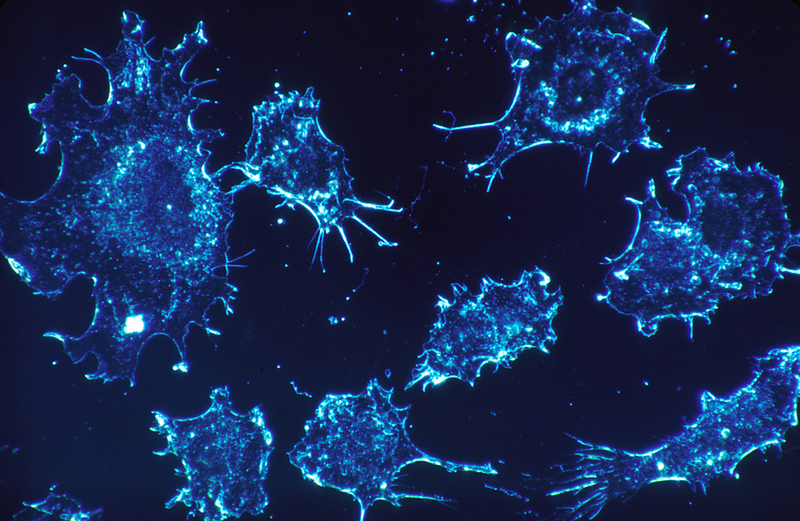 To easily set up experiments in the lab, researchers use cancer cell lines - cells which have been taken from tumors and trained to grow in the lab. These cell lines are grown in a single layer, and although this makes it easier to keep them happy, it is quite different to the way cells are arranged in our bodies, i.e. in multiple layers in a 3D space. With so many important functions of cancer due to the communication with other cells, it is beneficial for scientists to perform experiments on cancers that are as similar as possible to a living patient. 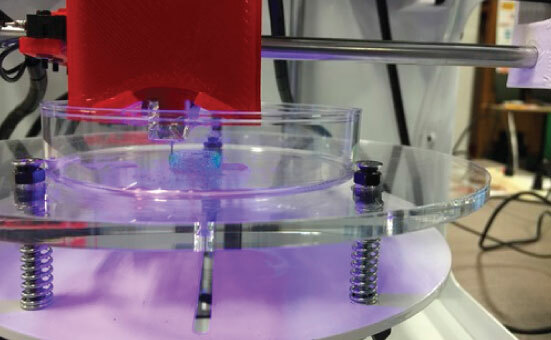 Last year, researchers at the University of Connecticut and Harvard Medical School addressed this, published a review of 3D bioprinting focusing on its potential advantages for cancer research in the lab. Cancers are a prime candidate for 3D bioprinting - many cancers exist as clumps of cells that lack specific structures, and thus do not require the typical scaffolding that bioprinting organs like ears or bones requires. By layering cells in 3D instead of 2D, a 3D printed tumor is better at replicating the structure of a tumor in a typical human body, and communication between cells in all directions can be achieved. 3D bioprinting also offers the possibility of mixing multiple cell types. This is important because cancer cells communicate not only with each other, but also healthy cells - for example, melanomas interact with surrounding skin cells. 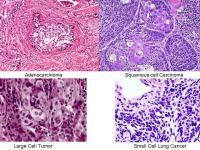 In fact, even within a tumor there may me multiple "versions" of cancer cells, all having different things to say each other. Since bioprinting multiple cell types is relatively simple, it is possible to recreate not only tumors themselves more effectively, but also their surroundings. Current research already feeds into this, as there are already many different types of cancer cells available, and established techniques for getting them into a liquid form for 3D printing. It is incredibly important that the results of any research be reproducible, not only within a research group but also between research groups across the globe. Since bioprinting is done using 3D computer models, these can be easily distributed to other researchers. And with the ability to customize the construction of a tumor completely using bioprinting, scientists can validate their results and move faster to obtaining medical solutions. One of the greatest challenges could be integrating 3D printing medical laboratory techniques that have been established for decades (the first cancer cell line was created in the 1950's). Luckily, companies like Biobots are capitalizing on this gap in the market, building accessible 3D bioprinters with standardized components. And repositories like Build With Life will hopefully hold not only bioprinting designs, but also important protocols that merge current medical research standards with 3D printing technology. The utilization of bioprinted cancers could be important to the development of new medical treatments. By understanding the interactions between cancer cells and healthy cells in all dimensions, researchers can gain insights into the successful treatment of these cells. And all of the techniques mentioned above could be extended to a range of other diseases. Organovo has already capitalized on this idea, 3D printing liver cells for scientific testing. One could even predict that, in the same way as 3D-printed organs of specific patients are being used to plan for surgery, 3D printed recreations of patient's tumors or diseases may be able to help tailor the most effective treatment for that patient. The future for integrating bioprinting into the workflows of laboratories around the world seems bright, and could offer faster and more accurate methods for carrying out early-stage research in cancer and many other diseases.